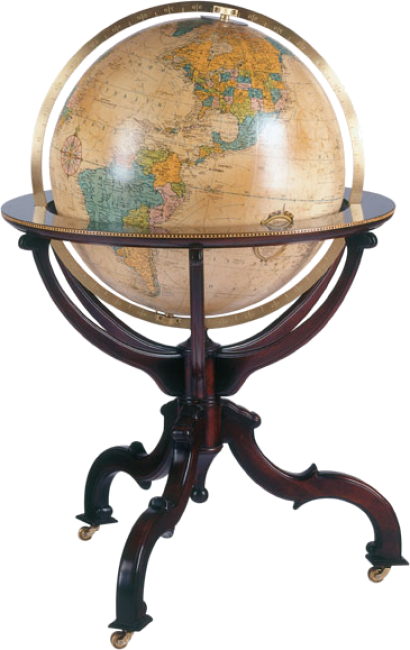 Hand carved globe stand with double scroll support on turned feet. (Updated geographically, with touch on/off light). Pictured in Mahogany.